The Sounds of Music will abound at the American Documentary Film Festival this year. The sounds of music will fill the air this year at the Sixth Edition of the American Documentary Film Festival, with films and live performances that explore a wide range of real life stories about singers, musicians, and the cultural impact of music in our lives. Opera aficionados are sure to enjoy director Steven John Ross’ film, Kallen Esperian: Vissi D'Arte (I lived for art). But they will also enjoy a live performance by the title character, Kallen Esperian after the screening. Esperian, whose meteoric rise to fame in the opera world was followed by a series of struggles – divorce, depression, extreme weight fluctuations, physical injury and — most dramatic of all — brain surgery. The film documents how she managed to not only survive these obstacles, but to re-emerge with her voice intact, and, perhaps, stronger than ever. The film, which the director says is “not a Pollyanna piece,” is nevertheless an inspiring story. Esperian will be accompanied by her long-time friend, collaborator and piano accompanist, Gary Beard, a conductor and chorale director long associated with Lindenwood Christian Church. She and Beard, along with the director will be available for a Q&A after the film. The screening of Kallen Esperian: Vissi D'Arte, and the live performance by Kallen Esperian will take place at 7pm on Sunday, April 2nd at Camelot Theatres. On the other side of the musical spectrum is Man in the Camo Jacket, which tells the story of Michael Leslie "Mike" Peters, a Welsh musician best known as the lead singer of The Alarm. Peters is a three time cancer survivor, and travels the world both solo, and with The Alarm – reunited to help save the lives of cancer patients all over the world. Peters first beat cancer in 1995 when he was diagnosed with lymphoma, and was subsequently afflicted with Chronic Lymphocytic Leukemia, first in 2005, and again in 2015. He is now in remission. Filmed over the course of eight years, Man in the Camo Jacket documents Mike’s journeys to the summits of the world’s tallest mountains and to the depths of his regular chemotherapy treatments and features one of a kind performances from legendary rock musicians. It also chronicles the creation of the global rock ‘n’ roll cancer charity, Love Hope Strength Foundation (LHSF), which he co-founded with American businessman and fellow cancer survivor, James Chippendale. After the screening of the film, Peters will perform live, participate in a Q&A, and talk about his efforts to educate people about early cancer testing as well as how they can donate bone marrow. The Academy of Musical Performance (AMP), will also perform after the screening of Man in the Camo Jacket . AMP is a local music performance and music industry camp for students entering grades 7 through 12 and living in the Coachella Valley. The program focuses on playing in bands, instrumental/vocal/stage skills, collaboration, creativity, and performance. Man in the Camo Jacket will be screened at Camelot Theatres on Tuesday, April 4th at 7pm, and will be followed by Peters’ live performance, a live AMP performance as well as the Q&A. Kallen Esperian: Vissi D'Arte and Man in the Camo Jacket invite audiences into the lives of two talented and unique individuals. Meanwhile, another film, Robert Shaw – Man of Many Voices, documents the music, the life and the legacy of the great conductor, Robert Shaw. Shaw, who was called “the Dean of American choral conductors," died in January, 1999, at the age of 82. In his long career, which spanned six decades and four cities, Robert Shaw transformed choral conducting into an art and nearly single-handedly raised its standards to a new level. For more than half a century he set the standard of excellence for choral music, enjoying a status of patriarch of vocal musical interpretation in the USA. Robert Shaw – Man of Many Voices traces Shaw’s life, from a small town in California, where he grew up planning to be a minister like his father, but instead became the greatest conductor of choral music the world has ever known. At the heart of the film is the mystery of Shaw’s genius. With no formal musical training, he achieved a stunning early success in popular music and later became legendary for his interpretations of classical music’s great choral masterpieces. Robert Shaw – Man of Many Voices will screen at the Camelot Theatres on Saturday, April 1st at 1:30pm. It will be preceeded by the short, The Soloist Of The Orchestra, director Arantxa Echevarria’s stunning portrait of Antonio, a young man with perfect pitch…and autism. If Robert Shaw found the career he’d never planned to pursue, Robert Davi never stopped pursuing the career he’d always hoped to find. Best known for his lengthy acting career (where he was often cast as a bad guy), Robert Davi has always yearned to become a singer (he trained as an opera singer). He’s also always admired the work of Frank Sinatra, and even cut an album of Sinatra classics. Now, in a twist of fate, and documented in Davi’s Way, Davi finds himself on a quest to honor Sinatra on his 100th birthday by meticulously recreating his historic “Main Event” concert at Madison Square Garden. In the vein of “This Is Spinal Tap” and “Curb Your Enthusiasm,” Davi and his assistant frantically prepare for the night in question. Poignant and comedic, Davi’s Way will screen at Camelot Theatres on Monday, April 3rd at 7pm. Jazz fans will enjoy the unique take on the cultural bridge built between African Americans and American Jews by the song, Body and soul, in the documentary Body and Soul: An American Bridge. Composed by Jewish composer Johnny Green in 1929, the song “Body and Soul” was introduced on Broadway by Jewish torch singer Libby Holman and ushered into the jazz canon by Louis Armstrong the following year. Four years later, the successful recording of “Body and Soul" by a behind-the-scenes Benny Goodman trio which included the Black pianist Teddy Wilson led to the historic smashing of the color barrier in popular music. Body and Soul: An American Bridge screens with two musical shorts, Notes on a Violin and Kojo: A Short Documentary at 11am on Tuesday, April 4th. AmDocs takes audiences on one more musical exploration with the powerful documentary, Requiem for My Mother. Composer Stephen Edwards wrote Requiem for My Mother to commemorate his mother Rosalie's influence personally and professionally from his first music lessons as a child and throughout his career as a professional film score composer. The film chronicles his compositional process, his collaboration with conductor Candace Wicke, the Continuo Arts Foundation Singers, and Orchestra, and the journey that brought Requiem for my Mother to life in a performance that premiered at the Vatican. Requiem for my Mother will screen at Camelot Theatres at 6:30pm on Tuesday, April 4th, and will be accompanied by two shorts, Rehearsal, and The Arkansas Wild Man. The American Documentary Film Festival and Film Fund (AmDocs) is a program of the Palm Springs Cultural Center, a local nonprofit established on 2007 by Ric and Rozene Supple. 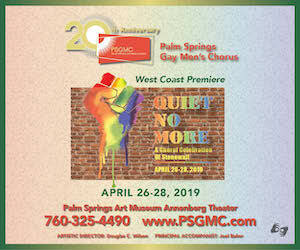 The Palm Springs Cultural Center was established to encourage the development of the cultural arts in the Coachella Valley with a specific focus in the areas of film, fine art, live performance, dance, music, and community festivals. The Center is dedicated to advancing education, to nurturing community-wide participation in the cultural arts, and to sponsoring scholarship awards for deserving individuals. 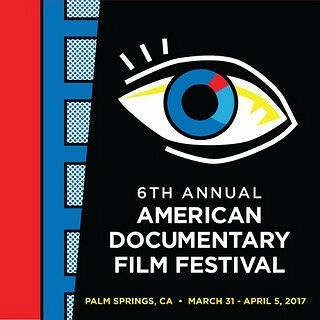 Tickets and Passes for the 2017 edition of The American Documentary Film Festival are available now at americandocumentaryfilmfestival.org, by clicking here or in person at the Camelot Theatres Box Office.